The Dual is a two-person discussion about issues surrounding the world of and track and field. This week, Jesse and Kevin debate who should be the men’s and women’s Athlete of the Year. It’s time to engage in that yearly tradition where we try to compare vastly different performances in order to decide who was the best athlete in track and field. In some years, it’s a clear cut decision. With no major championships this year, it’s a bit more complicated. Before we choose our selections, I first want to know what your criteria is for the award. How do you prioritize marks, wins, championships, etc? This is no different than determining “player of the year” in teams sports, where pundits compare those who play very different positions and simultaneously try to determine the relative importance of different jobs and who did them best. The difference here is that we start from the assumption that all events have equal chance at athlete of the year. We figure a hammer thrower and a sprinter should be given equal consideration, whereas few if any sportswriters give any thought at all to picking, say, a left tackle as MVP. 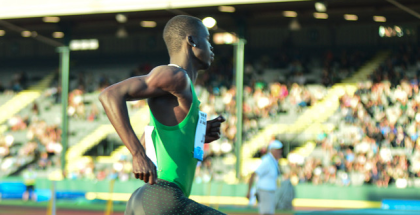 What makes the arguing fascinating in track and field is that your criteria for evaluation determines who you pick for Athlete of the Year (AOY). I mean, there are stats in team sports but there are so many mitigating factors. Quality of teammates and quality of opposition are two big, big parts of who leads the NFL in passer rating. But in track the facts are laid bare. Wins, losses and marks are clear and indisputable. So who you want as AOY is all dependent on which of those you find most important, not a subjective evaluation of how the numbers came to be. I think it’s most important to win the year’s biggest competition. That’s the Worlds or Olympics in three out of every four years. But no one meet stands out this time around. Most who vote in Track & Field News’ annual AOY rankings think it’s very important to go undefeated or very nearly so. I don’t. I don’t think we can excoriate athletes who duck their rivals because they’re scared of losing and then turn around and reward them for never losing. Besides, sometimes a dominant season isn’t due to being great so much as having substandard competition. So this year is weird. I’d say my criteria is a combination of two equal factors: who dominated their event the most this year, and whose marks suggest they would have done so in most of the last several years? Track and field is also different because in team sports they are all playing the same sport. Their roles and responsibilities are different, but they play the same amount of games, are on the field/court against similar competition and have the same amount of opportunities to make an impact. Not so in track and field. Renaud Lavillenie will never be able to double. 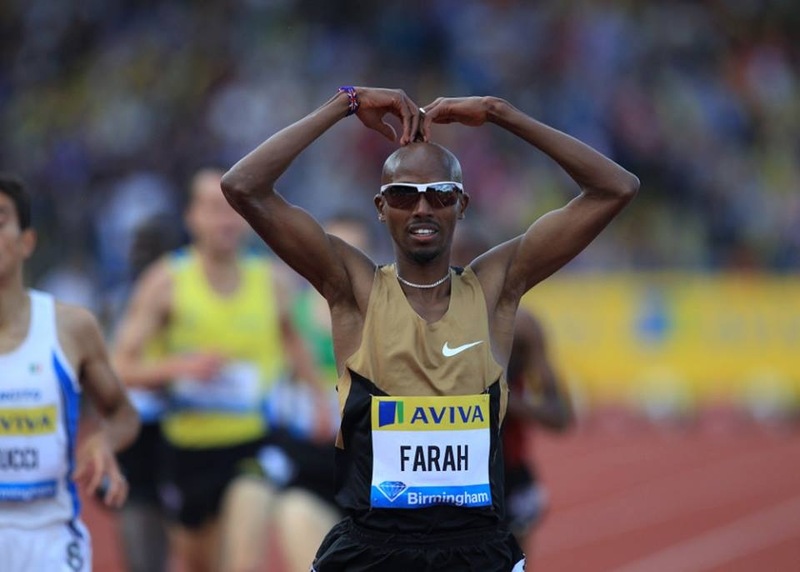 Mo Farah can’t run a relay and the most of the women will be miles off the world records. I like your criteria since there wasn’t a major championship. I’m also putting more emphasis on marks than I normally would in an athlete of the year discussion. Let’s start with the men. If this were the Heisman Trophy ceremony, here are the four finalists that would earn a trip to New York City. Mutaz Essa Barshim: Jumped 2.43 in Brussels to move him into second on the all-time list. He also jumped 2.42 once and 2.41 twice and won the overall Diamond League competition. 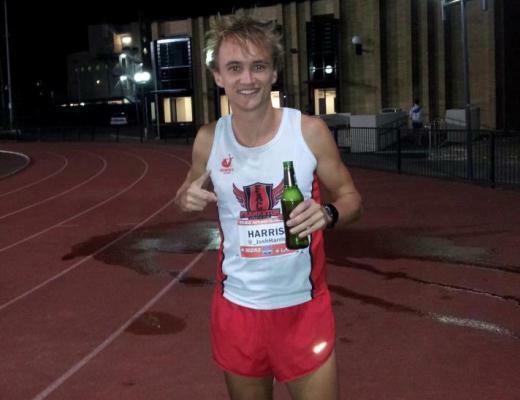 Bohdan Bondarenko: Until Brussels, he was the Diamond race leader. His season best is 2.42 and like Barshim had several, unsuccessful, attempts at the world record. Justin Gatlin: The nightmare scenario for the IAAF came true in Brussels. There was no world record in the high jump and Gatlin had the best one-day 100/200 double. He finished the season 19-0. Renaud Lavillinie: Only one loss on the season, a world record from the indoor season and the best nine vaults of 2014. Are those your finalists? If so, who is your winner? My choice is to declare a tie between Barshim and Bondarenko. This seems like a cop-out, but hear me out. From 1996 through 2012, there was a grand total of one outdoor high jump clearance at 2.40 meters (Vyacheslav Veronin at the ’00 London Grand Prix) and just three at 2.38m. Every World or Olympic gold medal from 1995 to 2011 was won at 2.37m or less. But in 2014, 2.37m was pedestrian. You could not win a Diamond League high jump with less than 2.40m this year (aside from a cold and windy evening in Birmingham, won in 2.38m). Bondarenko and Barshim won three each. Barshim won the Diamond Race by virtue of winning the final in Brussels (with 2.43m, a height bettered only twice in history). But he might not even be #1 in the TFN high jump World Rankings due to a few bomb-outs, such as the Diamond League opener in his native Qatar. Bondarenko’s only three losses were to Barshim. I cannot recall the last time two rivals went head-to-head so often, so evenly, and at such a high level. Maybe Gunder Hagg and Arne Andersson in the 40s (and no, I don’t actually recall those). What’s more interesting: watching an athlete monotonously defeat inferior competition (like Gatlin and Lavillenie did this year), or watching two rivals beat each other’s brains out at near-WR levels week after week? Barshim and Bondarenko in 2014 were the 80s Celtics and Lakers, the 70s Steelers and Cowboys, Borg and McEnroe, Arnie and Jack. A decade from now no one is going to remember Gatlin’s season but we’ll still be talking about the greatest battles in the history of the high jump. A tie? A tie? This is track and field, there are no ties! (except in the U.S. Olympic Trials). Bondarenko and Barshim made the high jump the most exciting event of the year, you get no argument from me there. But the award is for athlete of the year and neither was the best in their event. In essence, they are a victim of their own awesome rivalry. Since I’m weighing my selection heavily on marks, my pick is Lavillenie. He dominated the outdoor season and was the only man to break a world record this season, taking down Sergei Bubka’s 6.15 meter vault from 1993. It’s not Lavillenie’s fault he didn’t have a Bondarenko to his Barshim, or a Barshim to his Bondarenko. Shall we move on to the women’s selections? All three of my finalists throw heavy objects, which I’m sure has never happened in the history of the award. 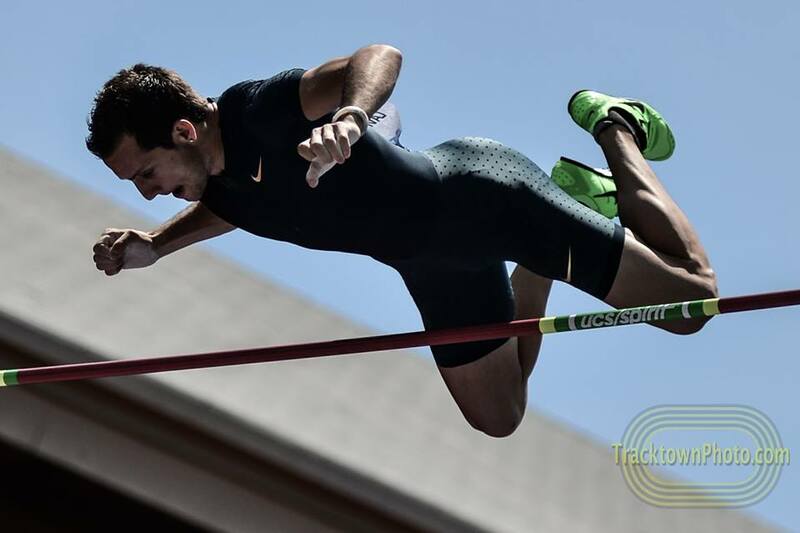 Lavillenie scaled great heights indoors but his best outdoor mark is tied for #123 all-time. I’ll remind you that this year’s World Indoor Championships women’s high jump ended as a tie, but that’s probably a sign that we should argue about the women’s AOY now. Who ya got? Hey, indoors counts in the award though, right? For the women, I have Valerie Adams, Sandra Perkovic and Anita Wlodarczyk as the finalists. There has never been a women’s thrower win the IAAF AOY, and I can’t see any reason why they would award it to anyone other than these three. Like the men’s, I’ll make the easy choice and choose the world record holder, Wlodarczyk. That’s a choice which is much harder to argue against. But I like to argue so I will. Wlodarczyk’s event is barely more than 15 years old and one in which record-breakers don’t have to battle against an era when “doping control” had as much meaning as “congressional ethics”. Perkovic has a loss but also put up the three longest throws since the demise of eastern European communism and their state-sponsored doping regimes. While she didn’t come close to the official world record, that mark is about as attainable as Old Hoss Radbourn’s 1884 record of 59 wins in a season. I do agree with you that if the IAAF doesn’t give the award to a thrower it will prove that they only care about who looks glamorous in a gown. But maybe their calculus has changed in the year that “All About That Bass” became a hit. Sandra Perkovic: The Greatest Thrower Since Communism. If I’m her agent, I’m putting that on a t-shirt and selling it–or at least including it on her Twitter bio. Now that we discussed who should win, who do you think will actually take home the awards? I think it is a toss-up between Barshim and Lavillenie, but you never know with Usain Bolt and his 2-0 record lurking in the background. The IAAF and Diamond League don’t seem to have an affinity for the hammer throw so I think they skip over Wlodarczyk and give it to Perkovic. I can’t make an argument for any of the women’s running events this year. If the decision is a little like the Oscars, which sometimes devolve into a “lifetime achievement award” for the winners, then I can see Valerie Adams taking the women’s award. She’s deserved to be a real candidate for several years. On the men’s side, I can believe the decision-maker being so tone-deaf as to pick Gatlin. I think Lavillenie is the safe pick.